Drones were once seen as futuristic devices which were the preserve of the military and scientific projects. But if one sector embodies the move of drones into the mainstream, it is in topographic surveying. This is where unmanned aircraft are now a fundamental part of modern map making. It is accepted that drones have singlehandedly changed how topographic surveying is carried out. Thus, enabling maps which are more detailed than ever before. As well as bringing performance and budgetary benefits. How have drones come to assume such an important role in topographic surveying? Their emergence in the sector can be at least partly attributed to their growing accessibility around the world. It is now easier to buy and fly drones with the correct certification, and usability has also increased, making them easier to fly. Permission for commercial operations is also far easier to obtain, due to a number of CAA courses that are available to commercial enterprises throughout the UK. When it comes to topographic surveying, this has been a godsend from an efficiency standpoint. Drones allow surveys to be completed with a quicker turnaround than ever before. The drone captured data is used in combination with ground control systems by civil contractors. While land development projects benefit from the ability of drones to assist in carrying out assessments prior to construction, as well as the surveying of completed structures. Naturally, a large factor in the widespread incorporation of drones into topographic surveying is a healthy ROI – but what is this down to? In terms of time and manpower, drone surveys can require significantly less than traditional methods such as GPS surveys. Savings per hour can add up to a huge amount, especially in the case of large-scale projects which are valued at over seven figures. The initial cost of the drone is often paid back within a matter of months. The process of analysing data can also be simplified by using the right software, which can put a huge number of topographic representations in the hands of the surveyors, from digital terrain models to orthophotos. These software packages take the drone-captured data and offer secure ways of sharing it across architectural and construction teams, giving them instant access on demand. So which are the drone models and accompanying software packages which are really making the difference in topographic surveying? 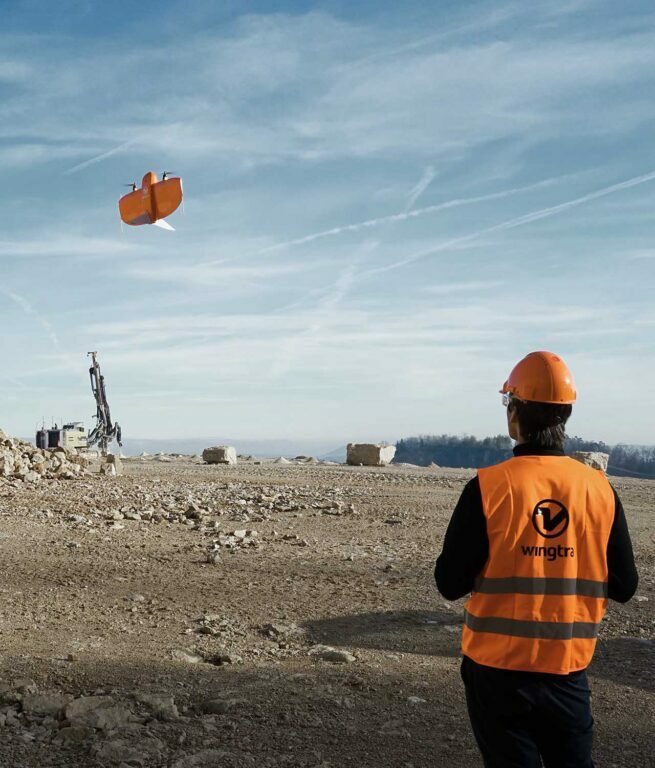 The Wingtra range, founded by the Autonomous Systems Lab in Zurich, Switzerland – has certainly emerged as one of the leading drones for topographic surveys. These commercialised drones are designed to combine usability with a high endurance level which makes them ideal for long distance surveying applications. 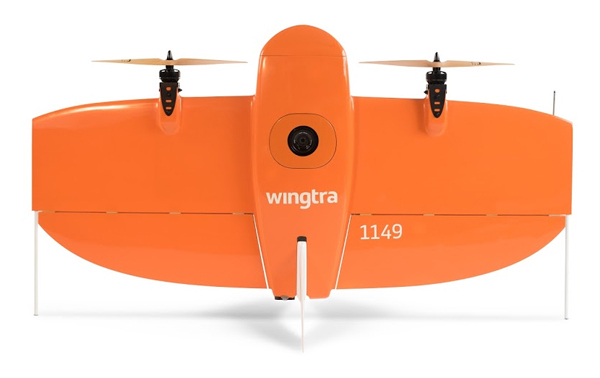 Why are Wingtra drones valued so much by the topographic surveying sector? It comes down to the best in class sensors which allows survey-grade aerial data to be collected with absolute accuracy down to 1 cm (0.4 in). And if there is one piece of drone software which deserves a mention in the context of topographic surveying. Surely it is Pix4D, which has earned a reputation as one of the leading pieces of photogrammetry software around. It has the ability to convert drone-captured images into geo-referenced 2D maps and 3D models. These can then be exported into a wide variety of supplementary software and applications. LiDAR products are also more than capable of creating impressive topographic surveys. LiDAR actively shoots out laser beams and makes measurements of the time it takes the light to return. It is highly regarded as a viable and accurate technology for topographic and land surveying. There is a range of cameras available, from the Revolution series to the Snoopy A and V Series that are ideal for surveying. For businesses which utilise topographic surveying, drones have enabled overheads to be slashed and quality to be enhanced. If you’re looking to get started or scale up your drone operations in the next few months, you will be eligible for free strategy 30-minute drone strategy consultation with a COPTRZ UAV expert. Click here to request your free session.